Top bar is iformation bar on the top of the site. You can add there any text or information. Top bar is by default blank. 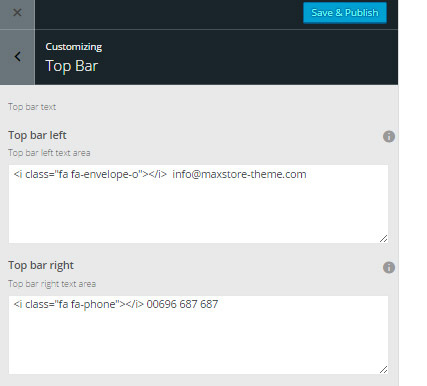 You can enable it by add some text in top bar texarea.
. This code paste into top bar textarea.